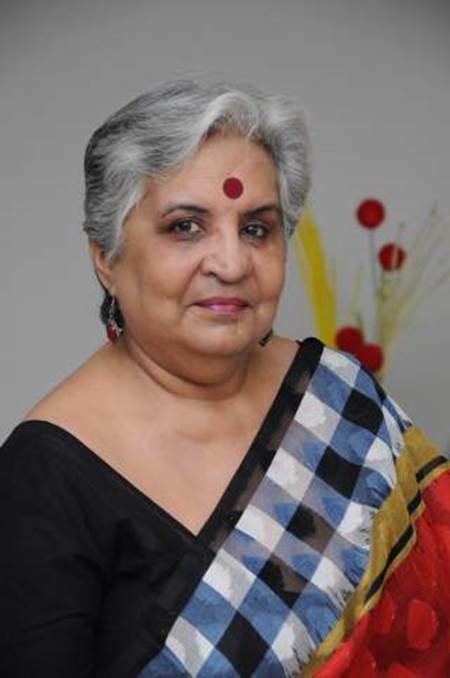 After decades in journalism, Kusum Choppra turned to creative writing. She is the author of Mastani, a historical novel, Nirbaya and Others Who Dared, a collection of profiles of women of courage, Silver Dreams, a novel, and the book under review. Kusum Choppra’s Beyond Diamond Rings has the distinction of being the first book of fiction in English devoted exclusively on Bhaiband Sindhis. What is remarkable is that Bhaiband Sindhis left home to seek their fortune outside Sind. Very often they left their families behind. The author has used this trait of the community to present the world of the Bhaiband Sindhi through feminine lens. The women perforce had to wear the pants, and take over male administrative responsibilities in addition to running the house in the long absences of their husbands. Kusum Choppra has lifted the veil on a world where petty jealousies, self-serving alliances, back-biting, humiliation and gossip sessions are the norm. Personality battles and issues, conveniently dictated engagements and long drawn out weddings were part of these families. “Food was a passion, social commitments a compulsion, satsangs a pastime,” besides being status symbols. The lighter side of living with absent husbands is brought out in a chapter, “Card Room Confidences”, where friends and relatives share their sexual experiences in marriage and outside it. It is a world in which “ males (are) occasional visitors, to be pampered, served, and sent off.” The men, “ with prosperous bellied tucked into expensive imported silk shirts” couldn’t care less. Most of these men had a second family overseas; sometimes their foreign wives decided to discover their husband’s roots and the native wives had to swallow their pride and play second fiddles to the real second fiddles. Kusum Choppra has ambitiously painted a large canvas where a whole family tree is shown in full bloom. She has succeeded remarkably. How has she achieved this? She has used the literary device of the death of a woman, who was rejected by her husband on her wedding night because of her complexion, to bring together everyone, grandmothers, mothers, aunts, sisters, daughters, cousins, sisters-in-law, daughters-in-law, at the funeral gathering. A chapter is then devoted to each person, her background and her story narrated. The funeral gathering is like the stem of a bunch of grapes and the women the grapes around. I got the sort of pleasure reading these narratives as I derive when I read a collection of interlinked short stories. Kusum Choppra is an amused observer of this way of life. She paints an objective portrait of this ethnic group with a quiet sense of humor and an undertone of satire. The quotations I’ve chosen in the above paragraphs convey these strands in full measure. A striking feature of the book is the understated manner in which Kusum Choppra conveys the horror of Partition. There are no scenes of the violence or gory details that characterized the biggest displacement of people in human history. Instead she conveys the immeasurable horror of the event through the inhuman abuse of little children like Sita and Harini. While Sita and Hirani start living in an ashram in Hardwar, Bharti become a vegetable. The culture of the Bhaibund Sindhis is rapidly being diluted party by globalization, mainly by their wish to appear modern, by what Nandita Bhavnani calls “a deliberate jettisoning of the past.” In the years to come Kusum Choppra’s, Beyond Diamond Rings will emerge as a reminder of this unique way of life.